While away this past week, we rented a house that had an awesome outdoor grill. For most of my fellow New Yorker’s, you know what kind of amazing significance this device means to cooking. Very few people in NYC are allowed to have grills (having a grill usually implies you have your own private balcony or a roof deck equip with a grill). Well, I have neither in my Manhattan abode, so when I saw we had a grill, I decided I wanted to get in all the grilling recipes I had been storing in my brain for the past year. 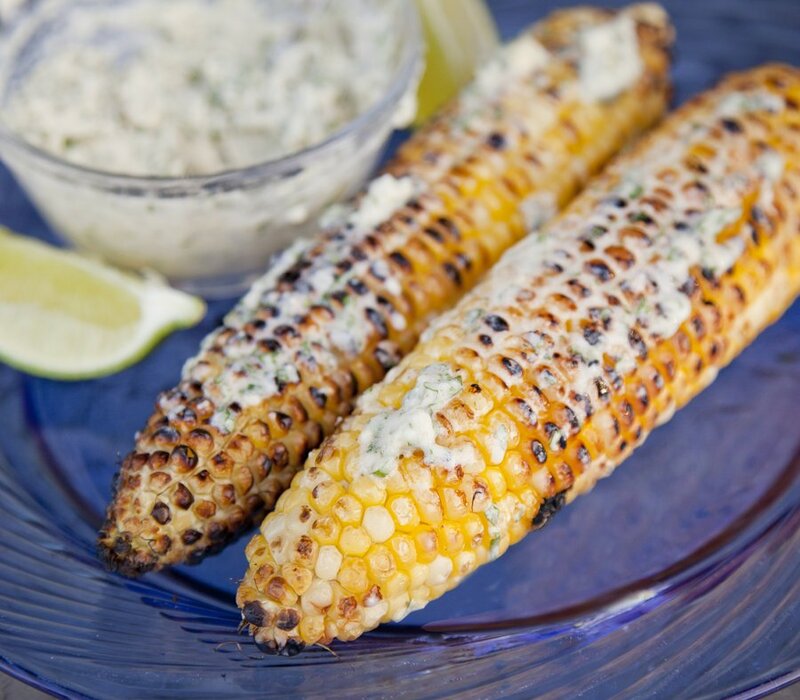 I love grilled corn, but my husband is not a huge corn fan….until he had this dish! 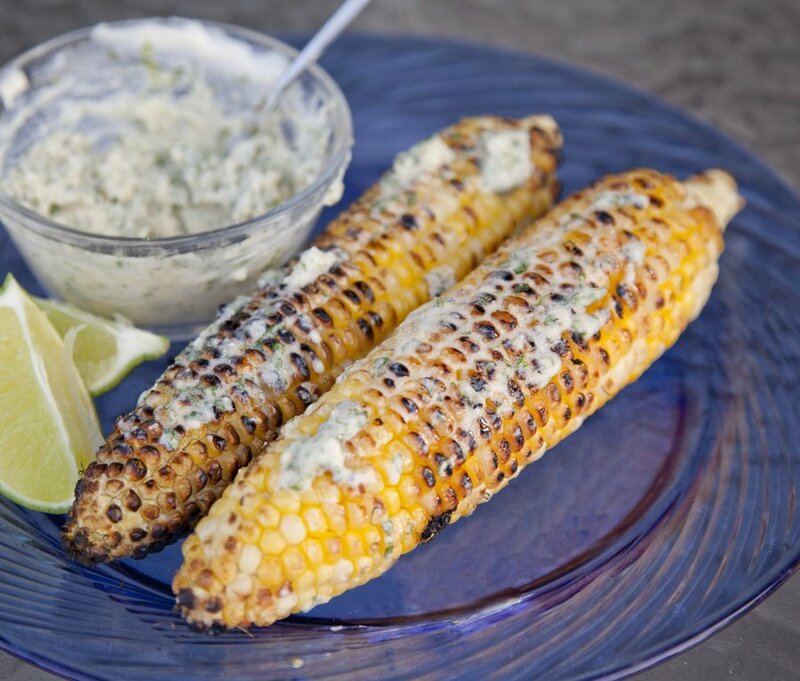 The corn is grilled (super easy – takes less than 10 minutes) and is then topped with a Cilantro Butter, and fresh lime juice. 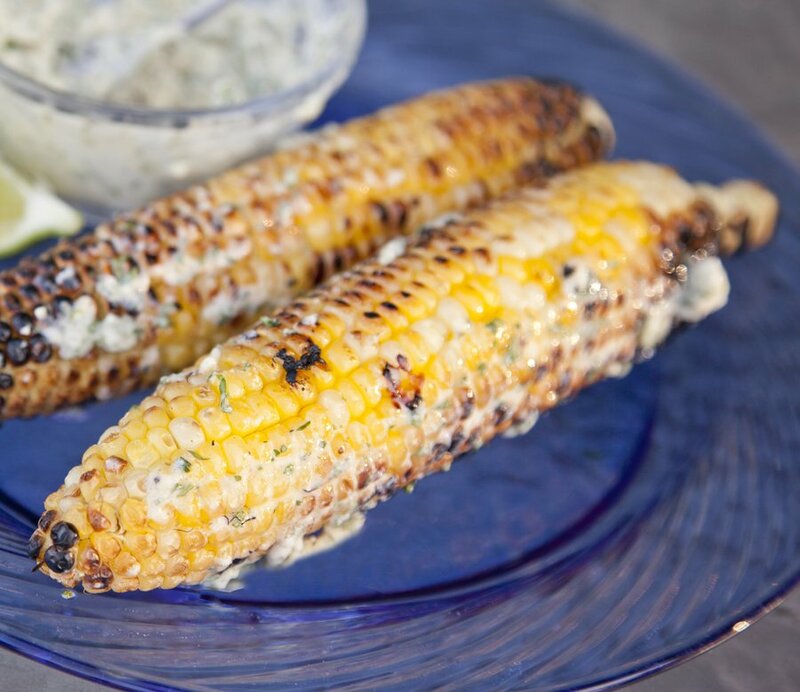 Remove the husks from your corn and heat up your grill. 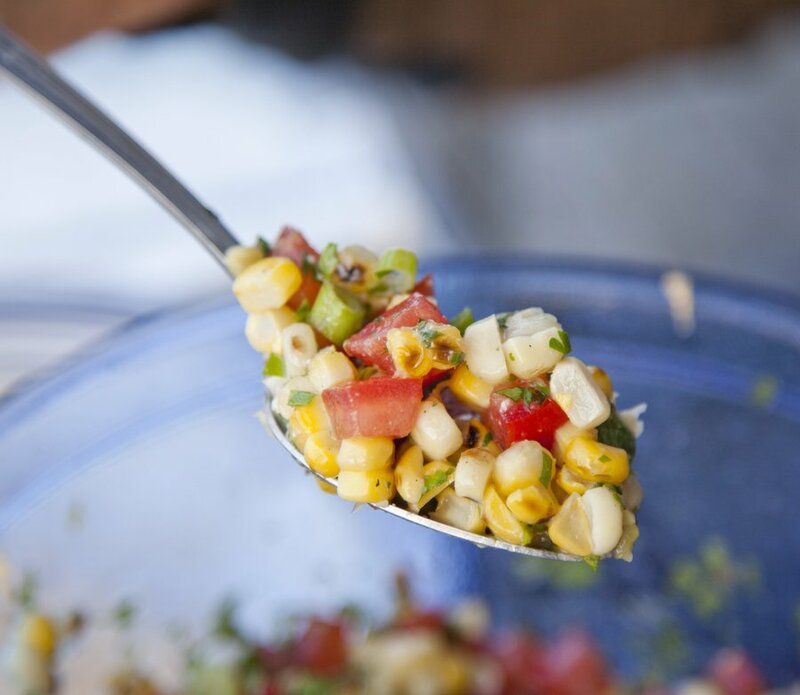 While the grill is heating up, in s small bowl, combine your butter, mayo, parmesan cheese, and cilantro. 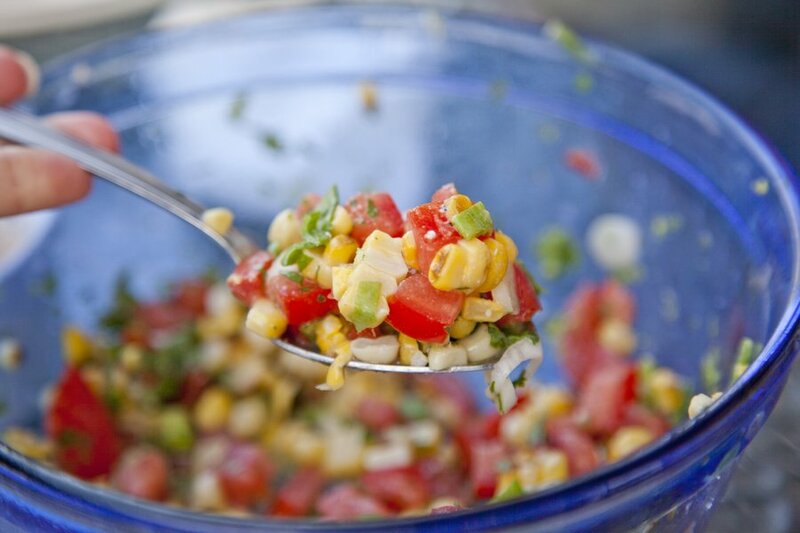 Mix together and season with a little salt and pepper. 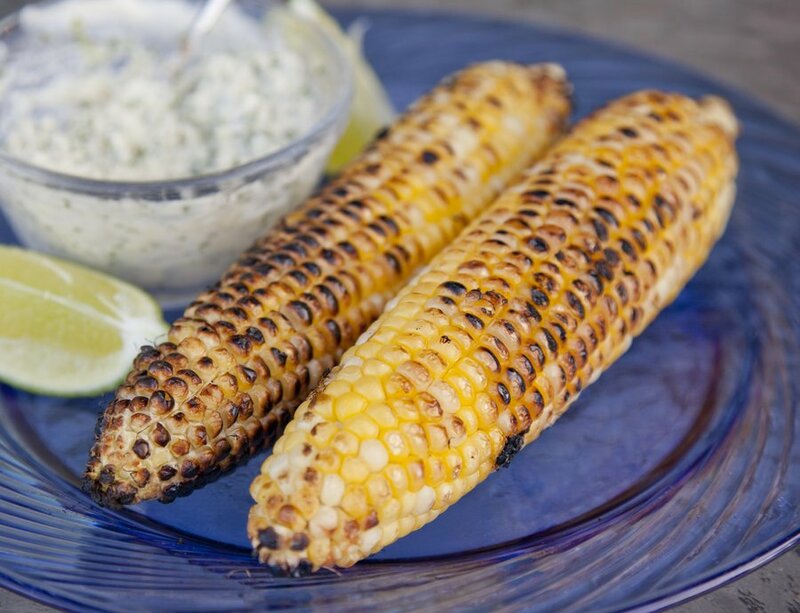 Place your corn on the grill and cook about 10 minutes, rotating frequently so as not to burn the corn. You just want a nice little char on it. 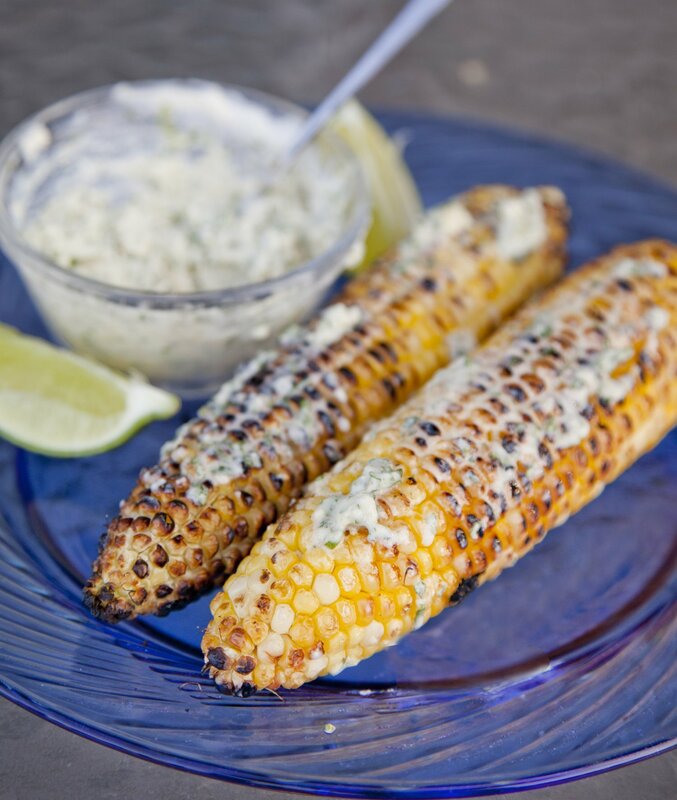 Remove the corn from the grill and top with the butter - serve with lime wedges to be juiced on top of the corn. 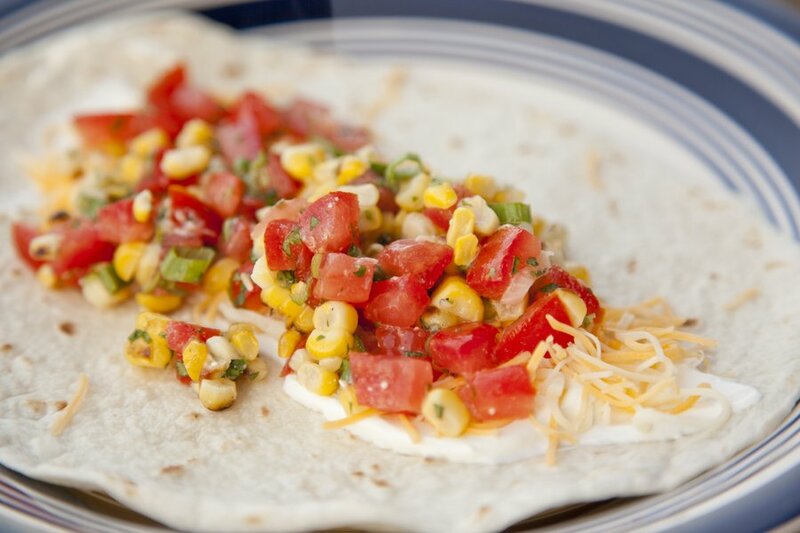 For this salsa style version of grilled corn here’s what I did….Mix together the following and put on tacos, burritos, enchiladas, or just serve with chips as a dip!